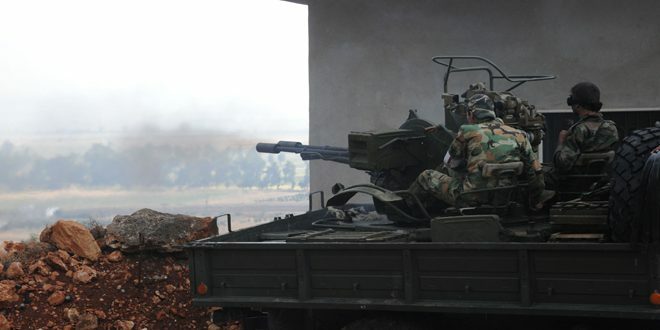 Aleppo, SANA- Terrorist organizations positioned in Aleppo countryside fired shells containing toxic gases on the neighborhoods of al-Khalidyia, al-Neel Street and Jam’ayat al-Zahra in Aleppo City. 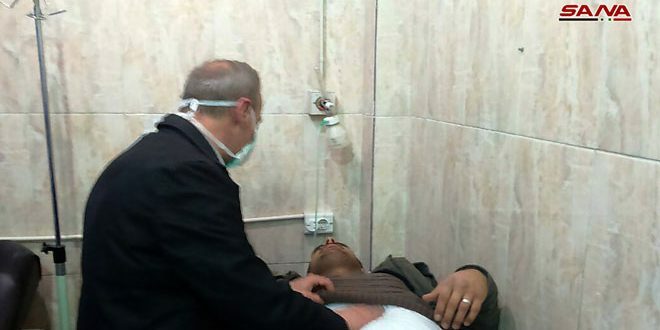 Chief of Aleppo Police Major General Issam al-Shilli said in a statement that terrorist groups on Saturday evening targeted residential neighborhoods in Aleppo City with explosive rocket shells that contain toxic gases. 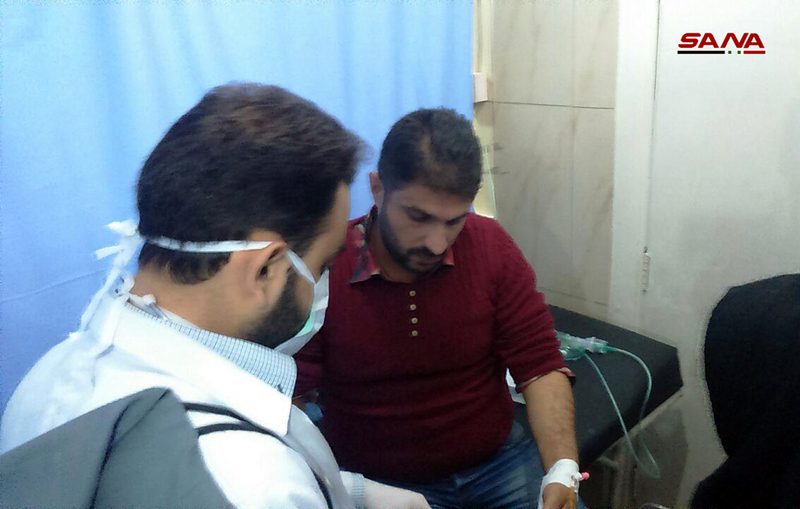 Al-Shilli added that many cases of asphyxiation were reported among civilians who were transported to al-Razi Hospital and the University Hospital to provide the required treatment to them due to the corrosive substances which they smelt, indicating that the medical teams are following up the required measures to treat them. 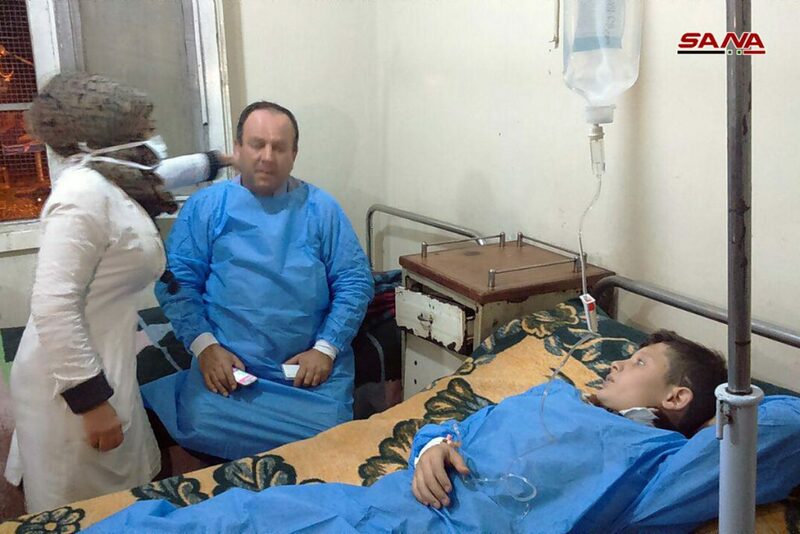 Inspecting the process of providing treatment for the victims, Aleppo Governor Hussein Diab said that this attack reaffirms that the terrorist organizations possess toxic gases. 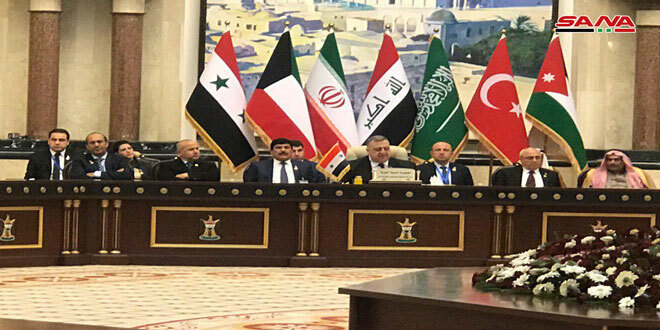 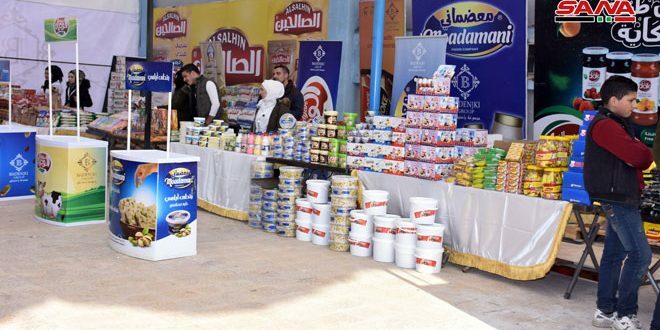 Diab called upon the international community to shoulder its responsibilities towards the civilians, particularly the children, the elderly and women. 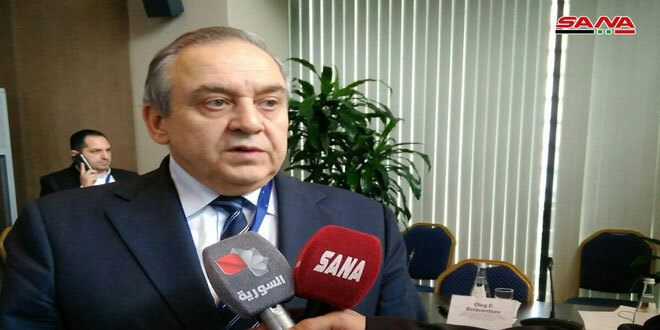 For his part, Director of Aleppo Health Directorate Ziad Haj Taha said that 50 civilians including children and women suffered from asphyxiation due to the terrorist attack with shells that contain toxic gases on residential neighborhoods in Aleppo City. 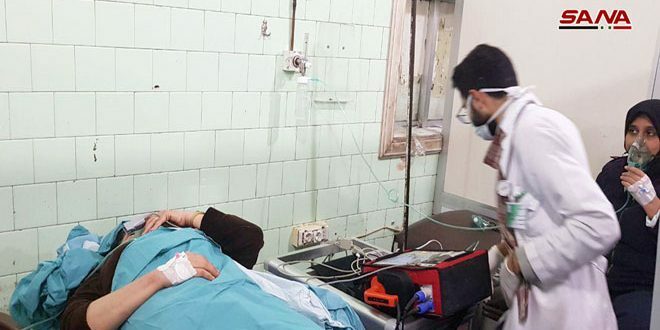 He indicated that the number of civilian casualties in the attack is not final and it is expected to rise, adding that the gas used by terrorists is more likely to be the chlorine gas due to the symptoms shown by the hospitalized civilians. 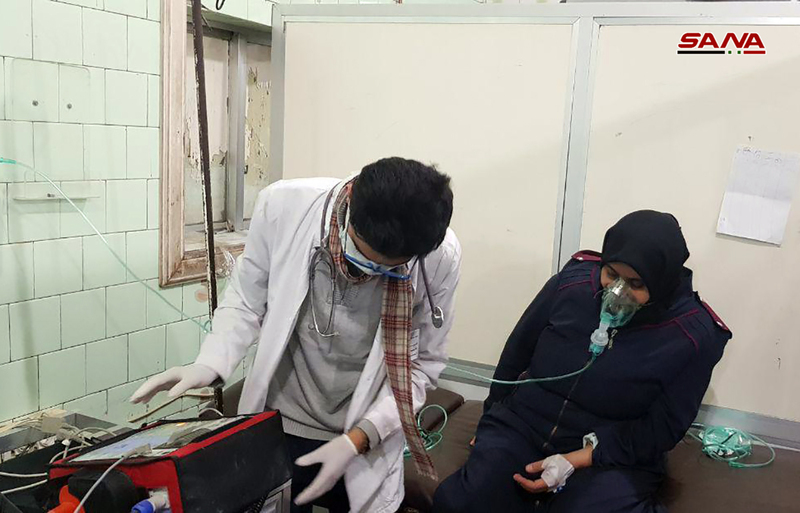 Later, medical sources at al-Razi Hospital and the University Hospital said that 107 civilians were admitted to them as they were suffering from asphyxiation cases of various degrees ranging from light to medium and some of them were admitted to the intensive care units. SANA reporter said that army units operating in Aleppo retaliated through targeting the areas from which the shells were fired, inflicting heavy losses upon the terrorists. 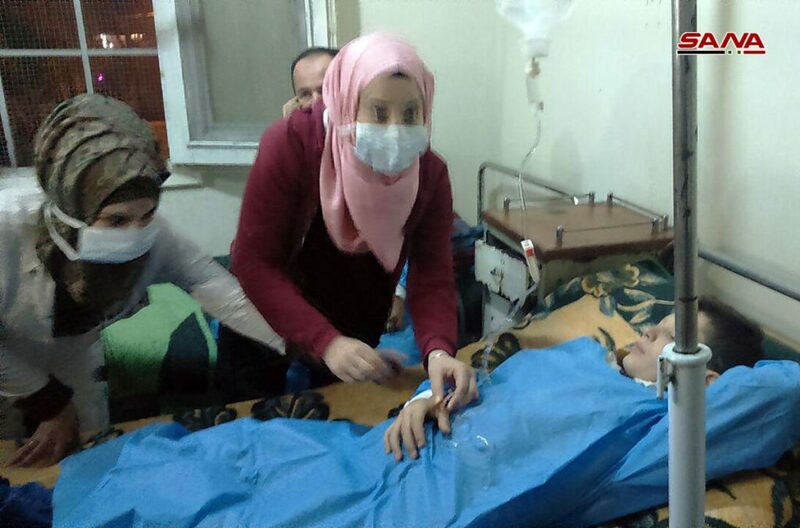 This attack on residential neighborhoods with shells containing toxic gases comes few days after local sources revealed that French terrorists arrived in Idleb through the borders with Turkey to supply missiles with toxic gases with the aim of using them inside the Syrian territories.